You can even get to the campsite during the TT races! Ballamoar Campsite is situated in Ballaugh Glen, 200 metres north of the village. With beautiful views and ease of access to the manx hills, the site provides everything a visitor could want, from TT visitor to mountain bike enthusiast to rambler and dog walkers. Yes folks, TT 2019 has not evan happened and people are wanting to book for TT 2020!!! To book for TT 2020, email steve, steve@ballamoarcampsite.im or the contact us page. Steve will send you a booking form for TT 2020. A big Thankyou to everybody who supported our fund raising for an AED onsite. We can confirm that £1187 has been raised, We will have an AED onsite next year! "This is absolutely THE BEST campsite on the IOM,with very reasonable rates and there are lots of electric points, the toilets and showers (the showers are hot and free to use) are always sspotless as is the kitchen with free tea and coffee facilities. There are two full size fridge freezers for patrons to store their food and drink.There is lots of room on site too, this site is also dog friendly with a great outdoor dog shower. There is a pub five minutes walk away from the site with a Spar shop also within same walking distance. Steve the owner is always available to help and is friendly and approachable. There are other sites on the IOM but none of them compare to Ballamoar for amenities or value for money"
Thankyou to everyone who has left a comment on both trip advisor and google review we appreciate it! Unusually from most island campsites, because of our location, in Ballaugh Glen you can access site and travel to the majority of spectator points on the TT course even when roads are closed for racing. Please be aware during TT fortnight, the mountain road is one way(from Ramsey to Douglas), if you are using Sat Nav be aware that some systems are not IOM compliant. 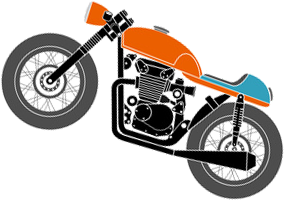 For more information on the TT, have a look at the official Isle of Man TT website. We are now taking bookings for MGP 2019, Spaces are filling up Quick. Click on the book now icon at the top of the screen!! 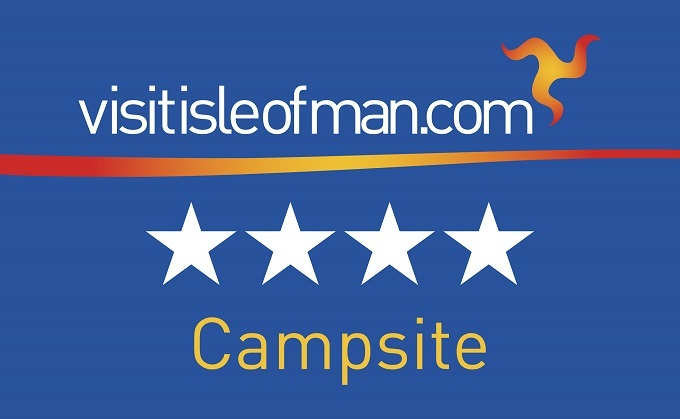 Ballamoar Campsite has a 4 star rating from the Isle of Man Tourist Board!